I like to meet with various local writers to talk about their craft. Poetry always fascinates me because it seems so basic to being human. Recently, I got together with my friend, poet Sandy Longhorn, to talk about the essence of poetry and what makes it eternal. Toasted Cheese: How do you think poetry evolved as a form of expression? This ties in neatly with Donald Hall’s description of poetry as “the unsayable said” or really the attempt by the poet to give voice to those deepest truths about the world that often escape words. See Hall’s essay “The Unsayable Said” in Breakfast Served Any Time All Day: Essays on Poetry New and Selected. So, poetry, which is the oldest literary art form, begins in the basic, physical, human need to express what presses and pulls within us, what yearns to be communicated to another human body. After all, poetry is created with the idea of both the poet and the audience. Yes, many people write poems that never see the light of day, but the drive to put those words down connects with the drive to share those words with others, whether that is the result or not. TC: I’ve often considered poetry to be a mnemonic form to relate, repeat and remember cultural heritage and societal norm. SL: As the oldest literary art form, poetry began well before the advent of the written word. It was oral and aural. It was sung, chanted, spoken, and most of all, it was memorized. The great stories that remain with us from the time before written texts (Gilgamesh, Homer’s epics, parts of the Bible and other religious texts) all began as pieces that were memorized and shared. In this sense, the idea of the singular author was not quite the same as it is today. Stories belonged to communities and regions. Each teller might tweak (i.e. revise) the story to fit his or her liking, to more accurately portray what needed to be said. Only with the beginning of written words did poetry make the transition to the page, and the poet’s work today is to be sure the words don’t languish there but that they leap from print and ask to be sung, chanted, spoken, memorized. TC: What essential elements do you think make this happen? SL: The three elements at play here—sound, rhythm, and image—all act together and are inseparable. To discuss one first is merely arbitrary. 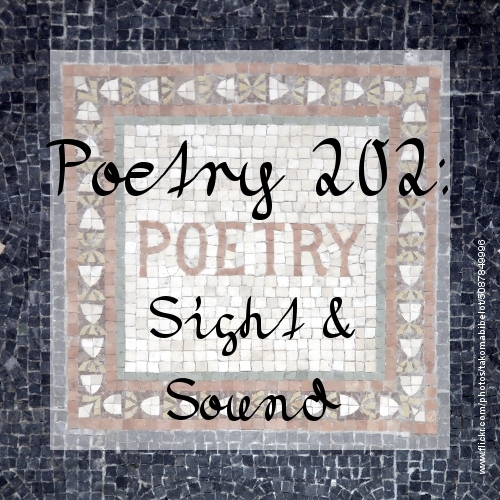 As an oral/aural art form, poetry probably first relied on sound play as a way to ease memorization. Thinking of nursery tales and jump rope chants, we easily recall those rhymes that pleased us in our youth: “Jack, be nimble, / Jack, be quick, / Jack, jump over / the candlestick!” Say it out loud. Feel those Js striking on tongue and jaw. Hear the pleasing rhyme of quick and stick, but also the assonance of the ‘i’ in nimble that echoes the ‘i’ in quick and stick. Follow the consonance of the ‘j’ through the repeated Jacks and then jumped. Taste the roundness of “ump” right there in the middle. That is language at play. That is at the heart of poetry, even as we go beyond the simplicity of nursery rhymes. Now, there is rhythm, which shows up in our Jack example as well. There is a clear beat that is repeated and, aside from the variation in line two, each line has four syllables. The variation in line two works perfectly as the shortened rhythm (only three syllables) emphasizes the word “quick.” Whether we recognize it or not, that variation contributes to the sense of urgency as we compel Jack on his task. So, the poet must think not only of what he/she intends to communicate, but also how best to use rhythm in that communication. Sound and rhythm go hand in hand to build a physical memory, a muscle memory that was instrumental in the memorization of long poems like The Odyssey or The Iliad so that traveling bards could recite the various adventures and battles of the heroes and thus earn their supper along the way. The third element, image, is also an integral part of the whole, as it is through image that we strive to express whatever it is bubbling up inside us. Of all the writers, poets rely most heavily on figurative language, in particular the metaphor. At its heart the metaphor, and its subset the simile, is a comparison between two unlike things that share some striking similarity. So, if I say that my hair is like the matted fur of an unwashed dog, that is one level of metaphor, but perhaps not very striking, as hair and fur are quite similar. However, if I say that my hair is matted and gnarled like weeds and sticks caught in an eddy at the river’s bank, that’s a bit more memorable and a bit more ‘wild,’ suggesting/saying something more strongly about my physical condition. The poet’s work with image is to not only be memorable but to be precise. To chose the exact image for the expression that will communicate the idea most effectively. One of the long standing traits of poetry, even in long poems, is concision (compression). To create a poem charged with both meaning and craft, the poet must select each and every word and place it precisely where it belongs, not to mention placing punctuation marks and line breaks with care as well. TC: Do you think codifying poetry, through writing, has changed its primal aspect? SL: Historically, Western poetry was formal; it existed in set line lengths with set rhythms and set rhyme schemes. Think of the sonnet or Shakespeare’s iambic pentameter verse plays. The formal nature of poetry aided in memorization and provided a scaffold around which the poet crafted the poem. At its best, formal poetry joins the intellect and the emotion of the poet and uses the formal structure because it is the best way to communicate whatever it is that needs to be said. After hundreds of years, poets began toying with formal structures and eventually branched off into free verse, poetry that does not contain a repeated pattern of rhyme or rhythm. While there are precursors as far back as the fourteenth century in Western poetry, free verse became firmly established in the nineteenth century and has become as widely if not more widely used than formal poetry today. Some people would question the importance of sound and rhythm, then, when dealing with free verse. Here, the poet does not have to conform to meter and rhyme; the poet is able to bend and break lines according to different rules. Still, I would argue, sound and rhythm are hugely important. Otherwise, what is to distinguish a poem from a paragraph that is simply broken into lines on the page? Where is the poet’s craft, then? TC: This is great, Sandy. Let’s ask our Toasted Cheese poets what else they would like to hear and continue the discussion. Thanks. Sandy Longhorn is the author of Blood Almanac (Anhinga Press), which won the Anhinga Prize for Poetry. New poems are forthcoming or have appeared recently in 32 Poems, The Cincinnati Review, North American Review, Waccamaw, and elsewhere. Longhorn teaches at Pulaski Technical College, runs the Big Rock Reading Series, is an Arkansas Arts Council fellow, and blogs at Myself the only Kangaroo among the Beauty. Cupid’s arrows will surely hit the target if you write your next love poem sincerely, without worry or pretense. But sometimes something extraspecial is called for. You want to write the big one, a love poem that will be read at the altar or found in a keepsake box decades from now. When it comes to writing a unique poem for your beloved, try drawing inspiration from a wide range of poetry—modern and classic, as well as poems written in different languages and from other cultures. Here are some approaches to help you melt a heart. Not all lips are like cherries, either. Good to remember if you want to write a love poem focusing on the physical features of your subject. It’s been done so often it’s not easy to do without sounding rather copycat. However, there are plenty of classic and modern examples to help you expand on your imagery as you focus on the specific beauty of your loved one. When Pablo Neruda provided descriptive imagery of his wife Matilde, he often related her personal qualities to nature, to culture, to the very land and times they shared. He was in awe as he described not just her features, but also her movements and habits. L is for the way you Look at Love. all that I can give. We are two in love. Sometimes, you don’t need to write to your love, you can craft a poem inspired by the great love you know. Try simply writing about love. How it feels to be you, in love. What has gone right in your world since finding love. How love has helped you find your heart, your path, your satisfaction in life. Love is enough: though the world be a-waning. Is anything more splendored than the truth about love? About all the dreams that come true for a soul that has found the love of a lifetime? Above all, be yourself as you set out to write your love poem. Let your beloved know it’s from you, with all your heart. See also: Poetry 101: Getting Started. So you’ve decided to write a poem. That is, why a poem and not prose? Writing poetry involves more than just inserting some line breaks into your sentences. In fact, line breaks are not the ultimate determinant as to whether a composition is prose or poetry: prose poetry does not have the line breaks usually seen in poetry, but is written as prose is, in paragraphs. Despite its lack of line breaks, however, prose poetry retains all the other elements commonly associated with poetry, even, in some cases, rhyme. Poetry tends to be more densely layered than prose. It makes extensive use of figurative language such as hyperbole, irony, metaphor, personification, simile, and symbolism, and employs rhyme, rhythm, and meter. Words are used as much for what they connote (suggest or imply) as for what they denote (their literal meaning). For example, the word cat denotes a small, domesticated, carnivorous mammal. But the use of cat in a poem might connote the qualities often attributed to cats: stealth, ruthlessness, the ability to sleep 18 hours a day. Or, it might connote one of the many associations people have with respect to cats: witchcraft, crazy old cat ladies, and so on. But although prose is generally more straightforward, direct, literal than poetry, it can and does make use of rhetorical devices such as figurative language; prose that incorporates many such devices is called poetic prose (for more on poetic prose, see The Musical Magic of Words). So what does distinguish poetry from prose? Go back the beginning. Think about your purpose for writing the poem. This will give you an idea of whether or not your subject is suited to poetry. What do you want to leave your readers with when they’re done reading? air the colour of tangerines. on your cheek like a tendril of hair. Night exhales its long held breath. As a child, each time I re-read Through the Looking Glass, I would read this poem aloud to myself, fascinated by the way the meaning of it seemed to dance just out of reach on my tongue. If only I re-read it one more time, maybe it would make sense. Of course, it never did, but that didn’t matter. The point was not the meaning contained within the words, but the delight in the sound of the words themselves. So, how do we get a poem to sound right? I fudge; it costs me little either way. As a sonnet, “White Lie” is written in iambic pentameter (an iamb is the pattern of an unstressed syllable followed by a stressed syllable; pentameter means there are five iambs or ten syllables per line). The first and third lines rhyme (know/so) and the second and fourth lines rhyme (say/way), so the rhyme scheme is abab. While end rhyme gets the most attention, rhyme can also occur within a line (internal rhyme) or at the start of a line (beginning rhyme). For example, in “White Lie,” lines 2, 3, and 4 start with why/I/I. Another technique is visual rhyme: words that look alike, but sound different, e.g. know/now (lines 1 and 2); enough/through (lines 7 and 8). Then/been (lines 9 and 11) is an example of near rhyme: words that don’t rhyme, but nevertheless sound similar. In Sexton’s version, the reader’s eye lingers on church/grave/hearse/brave—all strong, evocative words that are practically a poem in and of themselves. In this version, the eye focuses on and/from/the/to/the/in/is/of/brave. Leaving aside brave, which is only there because it happens to be the last word, the other words tell the reader nothing, and because the lines all end on words that would normally be unstressed, this creates confusion for the reader (Do I stress say or and? Neither? Both? ), and the poem’s rhythm is lost. The same principles that apply to poetry can be used when writing lyrics, although the language in lyrics is often less dense because emotion can be conveyed through music/voice, and freer with rhyme and meter because syllables can be curtailed or drawn out, emphasized or deemphasized. The verses of “Sway” by the Perishers have an abcb rhyme scheme: lines 2 and 4 of each verse rhyme (be/eventually; soul/stole), while the chorus has an abccdeff rhyme scheme: lines 3 and 4 (before/anymore) rhyme and lines 7 and 8 (down/ground) are a near-rhyme. This song also has a fairly regular iambic meter (with some variation), with generally eight syllables per line in the verses and seven in the chorus. Listen. Atwood also makes use of other forms of repetition in this poem. In the second stanza, she makes use of alliteration: each line has word that begins with W (walk/wavering/watery/where/worst). She also uses assonance: the long E sound in sleep is repeated in bluegreen/three/dream/breathing. Other sound effects to try are consonance: repetition of consonant sounds before and after different vowels (e.g. brick/brook) and onomatopoeia: words that imitate sounds (e.g. buzz, ding). When working in free verse, it’s also important to pay attention to the appearance of the poem on the page. Think of the arrangement of lines as the structure that supports the poem, like the frame of a house. Line breaks and punctuation tell the reader when to pause and breathe. Stanza breaks can indicate a more significant change: in tone or voice, for example. A poem that tumbles down the page, like the words are falling, presents yet another image. Poems can even be shaped to represent an object within the poem. In poetry, nothing is random. If the addition, subtraction or substitution of a word would improve the poem, it’s not done. If rearranging words or changing the placement of line breaks would improve the poem, it’s not done. Write with intention. How to Read a Poem (and Fall in Love with Poetry) by Edward Hirsch, at the Poetry Foundation website. Poetic Forms & Techniques & Poetry Glossary from the American Academy of Poets. How Poems Work is a monthly column at Arc Poetry Magazine that “examines the nature and craft of poetry through thoughtful, lively, accessible, analytical, and informative prose.” You can subscribe to their feed or get the columns via email. Hone the Craft: advice from Canadian literary journal Contemporary Verse 2 on getting published. R. H. Deutsch, “Poetry or Prose?” College Composition and Communication 15(1), (February 1964), pp. 38-40. If you want to write poetry, you must read poetry. …and I don’t mean stuff posted on message boards by other amateurs. In a recent Newsweek article, “Poetry is Dead. Does Anybody Really Care?”, Bruce Wexler wrote, “[P]oetry is the only art form where the number of people creating it is far greater than the number of people appreciating it. Anyone can write a bad poem.” Oh, so true. When I was hosting a poetry forum and chat, this is the thing that bugged me most about the so-called poets who posted and chatted there. They didn’t read poetry, which meant they had only a vague idea what a poem was, let alone a good poem. Few owned a book of poetry and most were hard-pressed to name a living poet.I simply don’t understand this. Why would anyone want to write in a genre they don’t enjoy reading? Who’s ever heard of a mystery writer who doesn’t read mysteries? If you want to have any sort of credibility as a poet, you must read poetry. Hokey verses in greeting cards don’t count. Focus on contemporary poetry, just as you’d read contemporary novels if you were a fiction writer. Many would-be poets, if they read anything at all, seem to stick exclusively to classics. I surmise this is because most pre-twentieth century poetry rhymes, and they see rhyming poetry as being “real” poetry. Reality is, poetry is comprised of many elements; rhyme is but one. 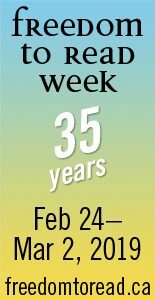 A good place to start is Poetry Daily, which features a new poem every day, culled from literary journals. Many literary journals have online versions, some featuring excerpts from the latest issue. We have an extensive listing of journals at Mustard & Cress. You can find print versions in the magazine section of most bookstores (keep in mind that most lit mags have small circulations, so which ones are available will depend on where you live). Learn to analyze and critique. …and for the record, “I liked it!” isn’t a critique and “I don’t get it” isn’t an analysis. A poet must understand how the genre works: how poets use and combine words to convey meaning, how the rhythm of poetry is different from prose. I guarantee that learning to critique will make you a better poet. Once you can identify what other poets have done right–and wrong–you’ll be able to transfer that knowledge to your own work.For many, this step will dredge up memories of bad high school English classes. It did me. In school, I had a love-hate relationship with poetry. I loved how the words made me feel when I read them aloud without thinking; I hated dissecting those words to find the “hidden meaning”–the shreds that were left were always so much less than the whole. Undoubtedly, these students were taught the machete-attack approach to understanding poetry in high school. But as Collins indicates, it’s not the only way, nor the right way. 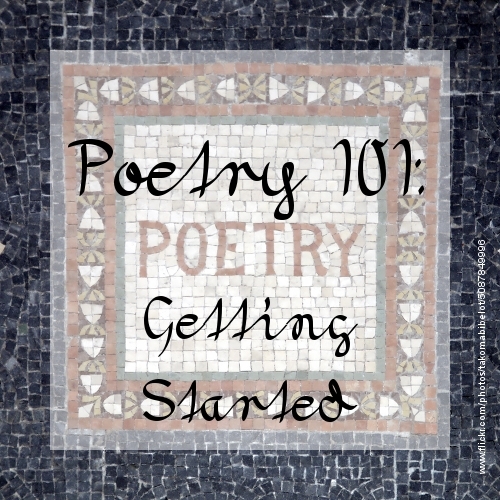 Karen Swank-Fitch, a poet who writes the Coffeehouse for Writers “Writing Perc” newsletter, has outlined six steps to understanding poetry: question, clarify, listen, summarize, paraphrase, and put it all together. In my high school English classes we concentrated almost exclusively on clarifying the meaning of figurative language–something that’s not satisfying or meaningful without context. Remember Dead Poet’s Society? Take your time approaching a poem. Don’t gloss over what the words make you see or feel. Read it, then read it again. Set it aside and come back to it. Read it aloud. Ask yourself what you think the writer wanted to say. Ask yourself what it means to you. Ask yourself how you’d approach the same topic. When you’re done, don’t forget to put it all together. One way to do this is to write poems you like out longhand. When you do this, you’ll find your hand moving as the poet’s did, your breath as the poet’s did. You slide inside the poem and it becomes yours if only for a moment. Keep a notebook, and copy into it poems that inspire you, that make you want to write. When the book’s full, you’ll have your very own personalized anthology–one that isn’t just good reading, but is a document of your growth as a poet. …and then practice some more. Take time to just write. Creativity guru Natalie Goldberg advises beginning writers to simply write–fill notebooks–for two years before even thinking about publishing. In Wild Mind, she notes how her students often balk at this advice: “But I’m taking this time to write–I have to prove myself. I have to publish, do meaningful work. I can’t just fill notebooks.”But writing isn’t any different from any other skill–it requires practice. Think of it this way: if you were an athlete, would expect to make it to the Olympics the first time you attempted a sport? Of course not. It’s bizarre how many people seem think all they have to do is decide to write, and there will be an audience waiting to read what they have to say. The truth is, every conceivable topic has been covered thousands of times before. What’s going to distinguish your work from someone else’s is not what you have to say, it’s how you say it. I’ve found that beginning writers usually fall into one of two camps: those who don’t realize that their writing sounds childish (or teenager-ish) and those who do realize it, and despair that they’re stuck there. When the first group rushes to submit, it leads to bitterness and anger– they don’t understand why their poems keep being rejected. When the second group rushes to submit, it leads to doubts about their worthiness and writer’s block. More than anything else, beginning writers need to realize they’re re-starting where they left off. This means if you haven’t written a poem since you were eight, you’re going to write poetry like an eight-year-old, not a 27-year-old or a 43-year-old or whatever your chronological age is. But also realize this: practice and you’ll improve, far faster than you did as a child, because now you have an adult’s intelligence and years of experience to draw upon. There’s no money in poetry, so there’s no reason to rush to publish. You’re going to have to keep your day job regardless of how successful you become. So take your time. It will pay off in the end. …not because it will teach you to write, but because it will teach you about writing. Pretty much the only things I kept from my first year of university were my Norton Introduction to Literature and the pieces I wrote in my creative writing seminar. It was my favorite class, even though my seminar leader, poet Patricia Young, didn’t like my writing, and I didn’t think she offered much helpful advice; her suggestions always seemed geared to making everyone’s writing–especially their poetry–sound like hers. My writing back then was awkward, unpolished, trite. I was 18, had grown up in a series of small towns, and had never had the opportunity to take a writing class or discuss writing with anyone before. Anything of interest that had happened to me was still too fresh for me to have enough perspective to write about it in any meaningful way. So why wasn’t it an unmitigated disaster? The class gave me my first opportunity to discuss the writing process with other writers, to workshop writing: read my writing aloud and feel the sting of criticism and, infrequently, the rush of praise. Almost subconsciously, I absorbed the names and work of various writers and poets. I even learned a little about the publishing side of writing; I’d been so green I didn’t even know literary journals existed. I also learned that writers can be cliquey and self-centered. That good writers don’t necessarily make good teachers. That “good” is subjective. The culture of writing I steeped in that year has lingered and resonated. It has ended up being something I could build on. At its core, writing is a solitary activity. A class isn’t a substitute for long hours alone with pen or keyboard; it’s a supplement. A class can jumpstart your writing, or sharpen it. Sharing your work forces you to step back and look at it from an outsider’s point of view–it gives you perspective. There are classes to meet every budget and schedule: night classes at colleges, summer writing programs, online workshops. Find one that works for you. And remember, even if the teacher turns out to be a pompous bore or your classmates don’t “get” your writing, you will have still learned something. …write poems that have a fighting chance at publication. Write in free verse. Writing in rhyme and/or form is a challenge, and can be a great exercise — as Hewitt says, “[M]ost of my favorite poets learned how to write in forms before they discarded them. Writing in form is a challenge. It makes you think.” — but it’s not what editors are looking for. It’s extremely hard to rhyme well, and most poets who try to rhyme end up choosing words that aren’t the best choice just to force the rhyme. Instead of rhyme, try consonance (repetition of consonants), assonance (repetition of vowels), alliteration (repetition of initial sounds in words). To add form, try repetition of lines with similar numbers of syllables. Describe a moment that implies a story, rather than telling the whole story. Consider what Marge Piercy has to say about a poem’s birth: “Poems start from a phrase, an image, an idea, a rhythm insistent in the back of the brain.” If you consistently find yourself writing complete sentences, narratives, or developing characters or plots, perhaps your ideas are better suited to prose. Lie. One of the biggest mistakes beginning writers make is sticking rigidly to the facts. You’re a poet, not Joe Friday. Yes, poetry is often based in real-life experiences, and many poems seem autobiographical, but listen to Atwood: “About no subject are poets tempted to lie so much as about their own lives; I know one of them who has floated at least five versions of his autobiography, none of them true.” If you are willing to blend fiction with fact, you will write better poems. Avoid tackling “big” subjects–e.g. love, hate, war, peace–head on. Instead, write about specifics that are representative of grander themes. As Hewitt says, “[t]he bigger your point, the more important the details are.” I think it’s best when a poem about something like love doesn’t mention the word “love” at all–and especially not in the title. Show emotion in an understated, subtle way. Don’t be melodramatic, and don’t tell readers how to feel. An image of a woman pulling a blanket out of an empty crib and breathing in the milky baby smell is much more poignant than repeating ad nauseum how sad the mother is because her baby has died. Don’t write poems so arcane an explanation is required before anyone gets something from them. On the other hand, do allow room for interpretation. Hewitt: “Say what you want to say, let the reader decide what it means. Don’t explain EVERYTHING”. I’ve seen poets get angry when a reader interprets the poem differently than what the poet intended. When you send a poem out into the world, realize that you let go of control. A first draft is not a final draft. …even if John Tesh steals it. The appeal of poetry to beginning writers is simple: one can sit down and write a poem in a few minutes. It seems easy. Or, at least, far easier than writing a novel.In On Writing Poetry, Atwood remembers how the day she became a poet “a large invisible thumb descended from the sky and pressed down on the top of [her] head. A poem formed. … It was a gift.” While I don’t remember anything as dramatic, I am sure my first poem came to me whole. I suspect many poets had a similar experience, which is why they later confuse initial inspiration with polished poetry. If you’re writing for yourself, as a way of freewriting, journaling, or even therapy, write what you need to. But if you plan to inflict your poetry on anyone else, you have to edit. Writing poetry for publication is work. Inspiration is just the beginning. Therapeutic poetry can be a stepping-stone, the writing practice Goldberg speaks of, a way of getting in touch with your “wild mind”, but it is never a finished product. The conciseness of poetry means there is little room for error. We can forgive a few ho-hum paragraphs in a book; after all, there we’re talking at least a couple hundred pages. A lame sentence or two might not ruin the overall effect of a short story or article. But one misplaced word can destroy a poem. Poems must be rewritten and revised until each word is perfectly chosen and perfectly placed. Unfortunately, the vast majority of poems being composed today are dashed off by amateurs in moments of “inspiration”, and then shared, posted, or submitted without further thought, much like the “Seven Minute Poem” John Tesh has been accused of plagiarizing. This, what Piercy calls “overvalu[ing] the spontaneous”, is rampant on poetry forums. Resist the urge to share your work immediately upon its completion. Instead set it aside for a time after writing. Write something else. When you return to it, give it a first edit. Cut clichés. Eliminate unnecessary words; be ruthless with adjectives and adverbs. Make sure that your nouns and verbs are strong, and that you’ve used fresh images and comparisons. Trying it out on an audience can mean posting on a forum or sharing in a class, as well as the literal audiences of poetry readings. But with poetry, reading aloud is an essential part of the editing process. Word order, line breaks, and punctuation all affect where breaths are placed, which in turn affects the cadence of the poem. If you can’t read for an audience, consider recording yourself reading the poem aloud so you can play it back and listen. …no one’s going to give you $20K for a 20-line poem. Honest. Always read at least one issue of a journal before you submit to it. You’ll be looking for a journal that’s a good fit style-wise, but also ask yourself if you’d feel comfortable or even honored to have your work featured amongst the other work you see there. If no, strike that journal off your list and look elsewhere. The last thing you want is for publication to be an embarrassment.Avoid journals that publish indiscriminately; a credit in one of these does nothing to enhance your credibility. It’s okay to publish in this type of journal once or twice just to get some practice querying and submitting, and to build your confidence, but take them for what they are, and move on once you’ve got the hang of it. Beware of poetry scams, in particular the kind that promise big prize money, tell you’re a finalist in a competition, and try to seduce you into buying an expensive anthology, e.g. the International Library of Poetry (poetry.com). A good rule of thumb with poetry: if you’re promised more than a copy of the journal or an honorarium, be skeptical. Don’t be afraid to publish poems individually, but make sure you retain the right to republish your work. Poetry collections usually consist of previously published poems. The market for poetry is small, and a publisher generally won’t consider publishing a collection until the poet has established herself, unless she’s already famous for some other reason (e.g. Jewel). A reputable print or online journal will explain what rights they want up front, usually in their submission or writer’s guidelines. Miriam Sagan, Write Poems That Get Published!